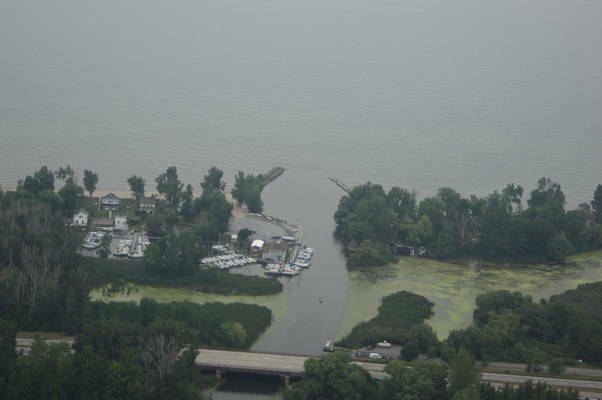 Sandy Creek breaks off from Lake Ontario near the city of North Hamlin, about 17 miles west of the Genesee River Inlet and 15 miles east of Point Breeze Harbor. 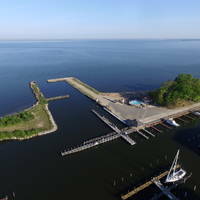 A convenient and well-protected stopover point, Sandy Creek has three excellent marinas, but to reach the last two, you must be able to clear a low vertical clearance bridge that crosses the creek near its mouth. Sandy Creek is approached from the north via Lake Ontario, and navigation is simple and straightforward. 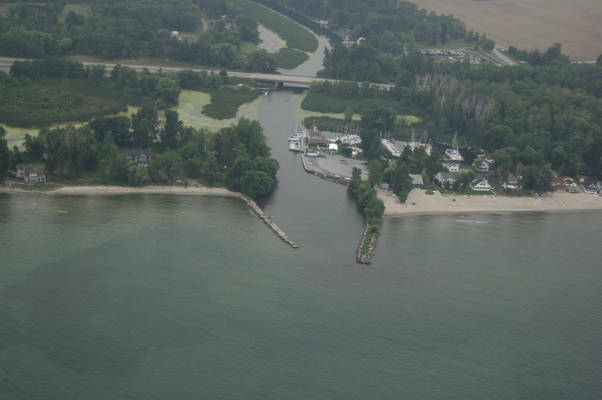 On approach to Sandy Creek, chart a course for the single (unnumbered) quick flashing white light on the east jetty of the inlet. Depths inside the inlet range form eight to ten feet, and if you are here in the late fall, dip a line overboard to try your hand at hooking a steelhead salmon - this is a prolific spawning area for them. 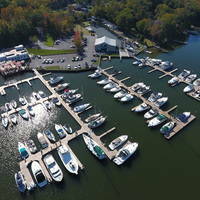 Once you have cleared the jetties, a large marina with transient service and repairs is visible to starboard. 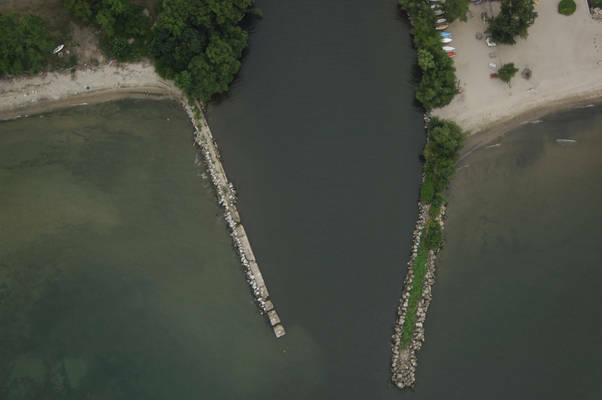 More marinas are upstream from here, but you must be able to clear the fixed bridge to get to them. 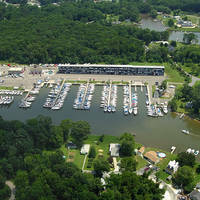 Radio the Brockport Yacht Club for bridge clearance details. No reviews yet! 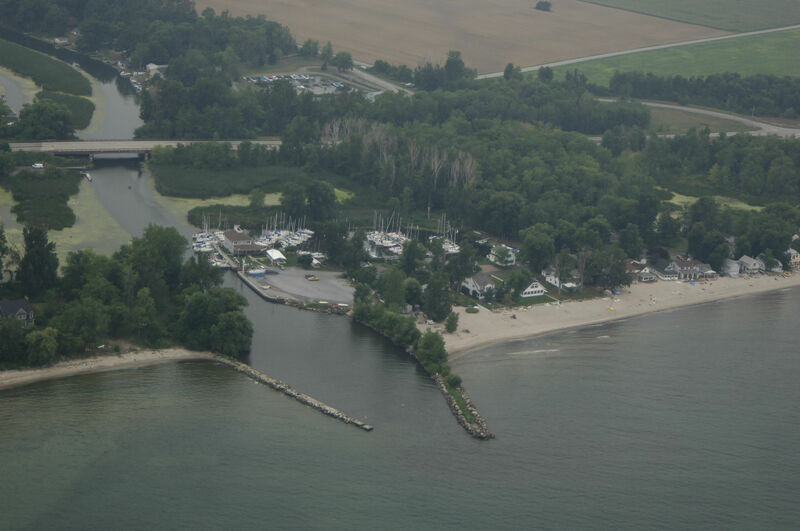 Be the first to write a review of Sandy Creek Inlet.